Facebook is announcing a second major tweak to its algorithm, saying it will prioritize news based on survey results of trustworthiness. 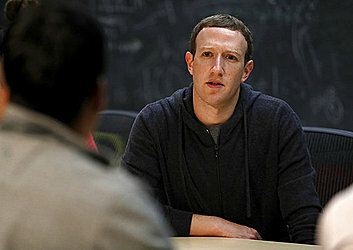 The company said in a blog post and Facebook post from CEO Mark Zuckerberg Friday that it is surveying users about their familiarity with and trust in news sources. That data will influence what users see. The changes come as Facebook has struggled to deal with fake news on its platform and Russian-linked content meant to influence the 2016 U.S. elections.